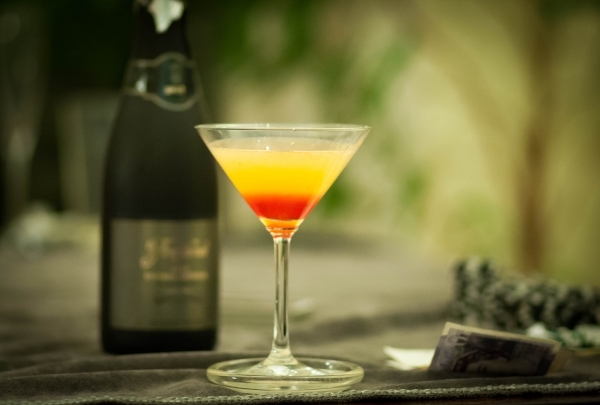 Enjoy one of our famous signature cocktails at BRICKS. 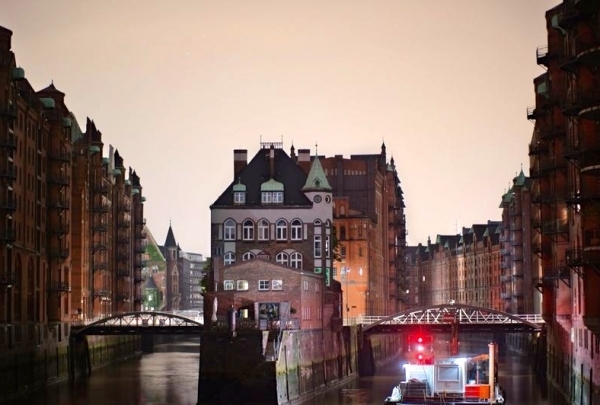 One of those cities everyone should visit at least once, Hamburg combines old-world beauty with a vibrant modern nightlife scene, making it one of Germany’s top destinations. At the Renaissance Hamburg Hotel you’ll find typical North German hospitality everywhere you look. Located in a stunning converted publishing house, our 205 recently refurbished rooms offer stylish and comfortable accommodations, while our Bricks Cocktail Bar and delicious Broscheks Restaurant are both hip and welcoming. In-house Navigator Itco can guide you through the rich experience that is a trip to Hamburg. 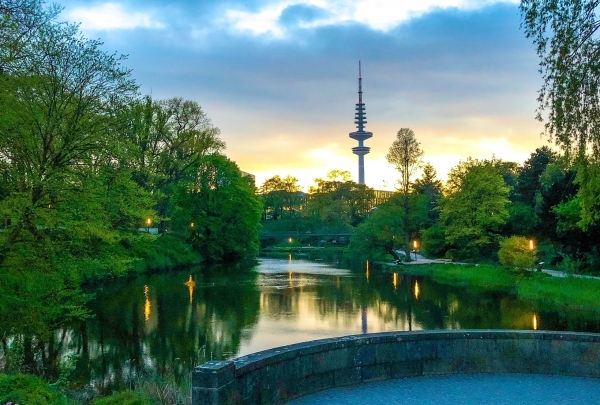 Whether you want to take in a stroll around gorgeous Alster Lake or rediscover a slice of musical history on Reeperbahn in St. Pauli district where The Beatles cut their teeth in the early ‘60s, there is truly something for everyone. 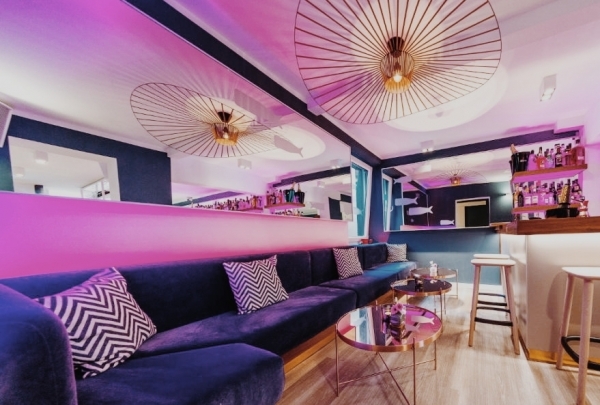 Enjoy exciting cocktails and the new interpretations of the "Herrengedeck"
In the old walls of a bakery, the motto of the Tipsy Baker Bar is, "HERRENGEDECK IS BACK“. The Herrengedeck, a cold beer with a shot, is served with homemade bread and cucumbers. Look forward to ten variations such as YOU´RE TOO SWEET TO BE TRUE – Liefmans Fruitess fruit beer with delicious Gocci Vermouth. 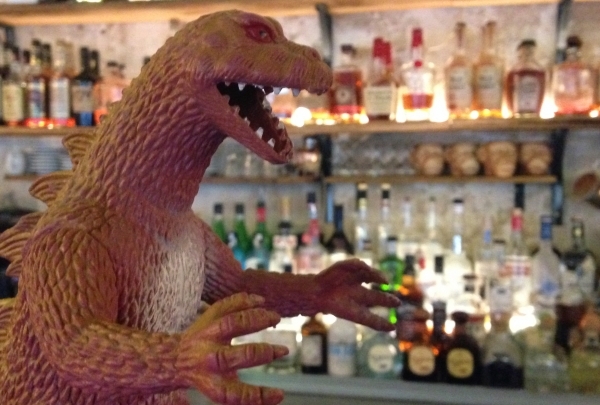 Beside the good beers, they have some exciting cocktails in their repertoire. Stop by this fancy grocery store and discover handmade German delicacies. You can only find this store in Hamburg. 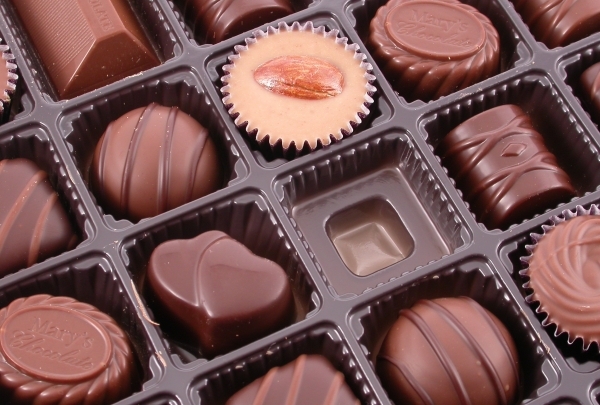 Browse through locally made products like chocolate, candy, coffee, and jam, all of which were made in or near Hamburg. This is the perfect shop for picking up a gift for your loved ones back at home. Have you ever tried Nordic German Tapas? 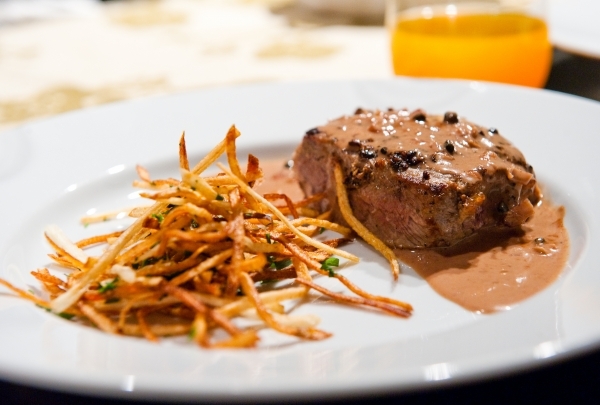 Taste all the traditional German dishes on just one evening! 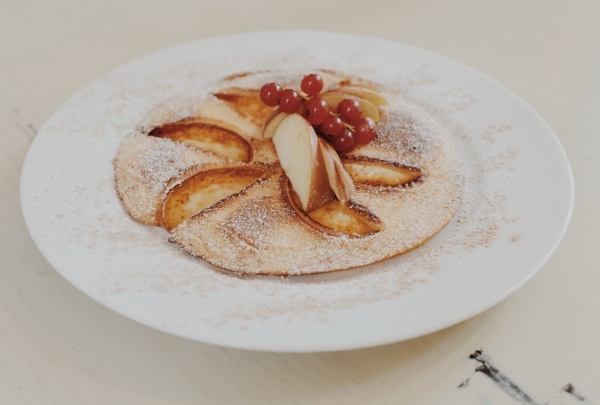 Try the best Schnitzel and Labskaus you've ever had at Schoppenhauer. The intimate atmosphere will inspire you to stay here for the evening and enjoy their wine and food with friends. How about dinner inside a bank? 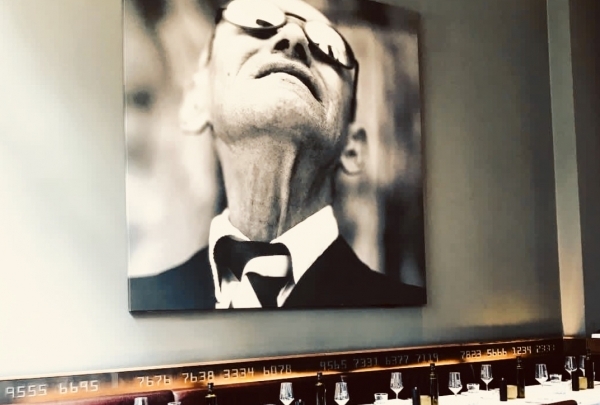 Located on the first floor of a former bank, that was founded in 1897, the DIE BANK Brasserie & Bar impresses patrons with its high ceilings and interesting interior decor. Their creative menus are changing every five weeks and the wines are stored inside a huge safe. 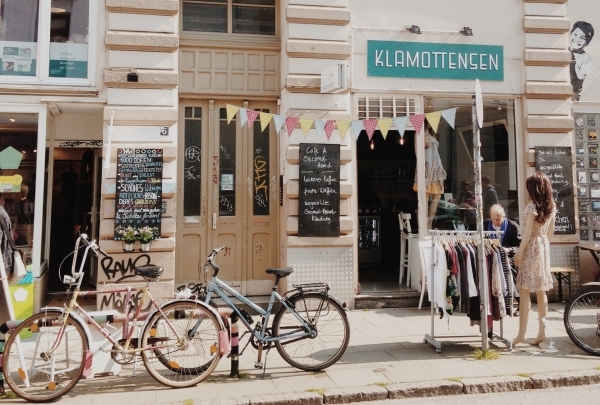 Go shopping in one of Hamburg's hippest scène districts. The Hamburg design district will help to take your wardrobe to the next level. The Marktstrasse, located in the Karolinenviertel, is a very alternative district. Dip into the groove of the neighborhood. Men who like subtle, timeless looks should visit End Hemd, while women can't miss Goldig. Looking for the best photo of our "Old-Ware-House-District"? How about a tea-time at the Wasserschloesschen afterwards. The Old-Ware-House-District is a famous and historic area that also happens to be incredibly picturesque. Be sure to stop by a little spot called "Wasserschloesschen". 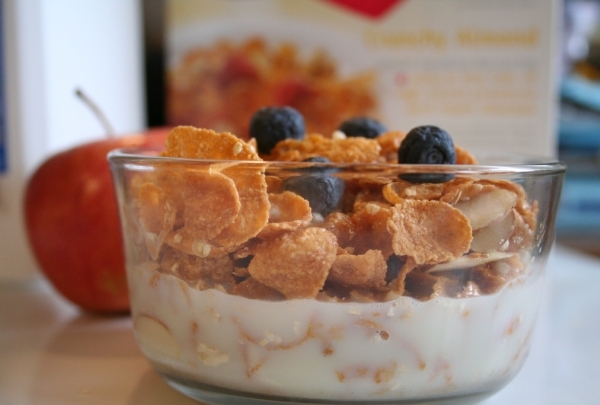 It's open for breakfast, lunch, tea-time and even for dinner. Do not forget to buy some tea and other delicacies before leaving. A visit to this Venetian-style arcade is a treat for its stunning design. This stunning Jugendstil arcade was inspired by Italian architecture and is the oldest shopping center in the city. 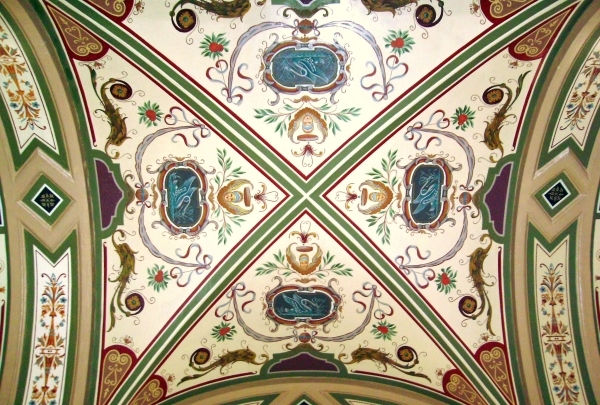 Its richly-hued ceiling frescoes and stained-glass windows are a prime example of early 20th-century Art Nouveau styles. You're sure to find yourself here if you're crossing over from the Alster Arcade to Neuer Wall, as it is the major connector between these two streets. 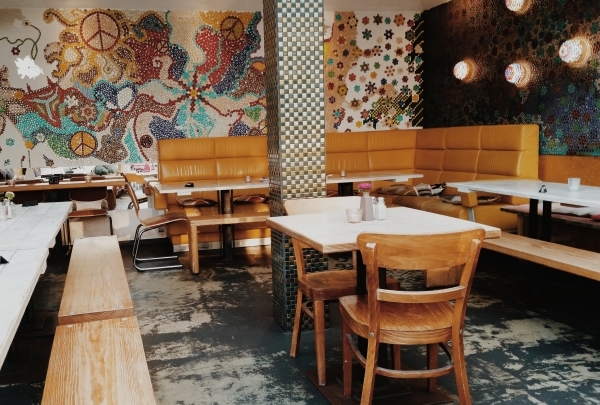 Check out this fun breakfast joint for some delicious bites. This family-friendly restaurant offers a variety of tasty dishes. One of the most popular dishes is the "Karlsons Breakfast for Two" that features a sampling of the restaurant's tastiest bites. Other staples include their blueberry jam pancakes, apple pancakes, moose salami and koettbullar. Just sit down and relax, meet locals and enjoy a good range of bottled beers, finest rum or one of the Highballs, which they specialized in. At Boilerman Bar, the bartenders know how to extract out e flavor from each ingredient to create potent cocktails. Dark´n Stormy is quite popular among regulars. This theater hosts over 250,000 visitors annually, with it staging both classic and modern productions over 300 times a year! Founded in 1843, the Thalia is Hamburg's oldest theater and is still regarded as one of the best stages in the country. With an average of 357 performances and 250,000 visitors every year, the Thalia is by far the most popular theater in the city and one of the largest in Germany as well. It is also, in contrast to many other state-run theaters, highly profitable. The programs performed include both classic and contemporary pieces. 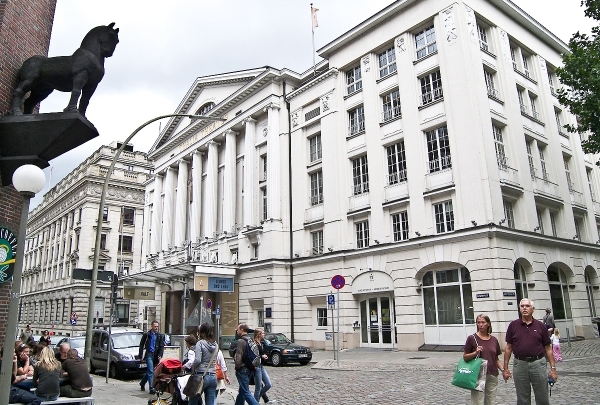 The present, neo-classical building was built in 1912 and is situated near the Alster. Explore a world of gourmet delights like truffle oil, foie gras d'oie and Amatller chocolate at this charming city center boutique. 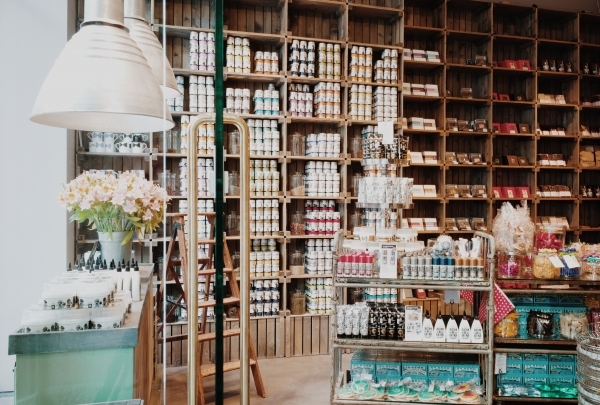 Shelves stacked with the finest foods, preserves, condiments, coffees, artisan chocolates and hard-to-find ethnic specialties from around the world greet you as soon as you step into this Hamburg store with an eclectic collection. The display is enchanting, offering a feast for the senses with tiers of brightly-hued bottles, tiny portions of jellies and jams, aromatic boxes of exotic tea, containers of colorful pasta, all arranged to coax you to stop, linger and taste. Their artfully-crafted gifts make for an ideal present for someone special. Oschätzchen is a must-visit, especially for all those who appreciate the fine art of cooking, as well as all culinary connoisseurs. Climb up to the Geesthang viewpoint for panoramic views of the Elbe at this beautiful park populated by deer, peacocks and reindeer. Originally known as Godeffroy's Park, this deer preserve was opened in 1860. This landscaped park features characteristic 19th-century features like wide meadows, imposing tree-lined avenues, and picturesque forest paths leading to scenic viewpoints. Within the grounds you'll also find the Witthüs, where Hans Hernry Jahann lived for a while, now a charming garden cafe and restaurant where you can stop for refreshment. Stroll along the shaded boulevards and watch the nearly tame rabbits and deer foraging for food or the noisy geese, ducks and waterfowl that inhabit the many sun-dappled ponds. Choose from 33 seasonal signature cocktails like the PTC (aronia, pisco and basil) at this stylish bar a short walk from the Reeperbahn. 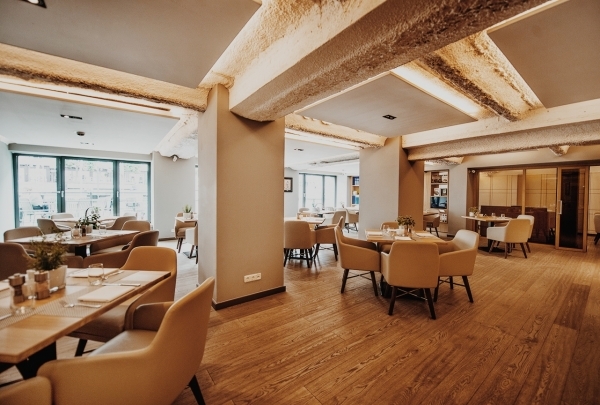 33Freunde oozes stylish comfort with its warmly-lit interiors, cozy couches and modern decor. 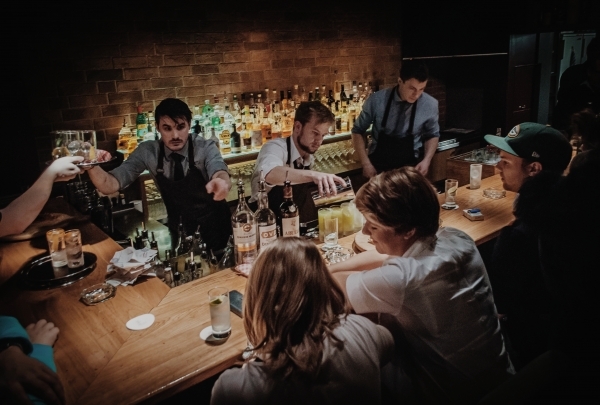 The talented bartenders breathe new life into forgotten classics and craft new creative concoctions each weekend. Top-shelf liquors, fresh fruit and herb infusions, and unusual pairings blend together to create one-of-a-kind cocktails you won't find elsewhere. Each drink is a treat for eyes and palate. This theater hosting an eclectic array of theatrical productions has a unique feature - it's housed in a seaworthy century-old ship! Anke and Gerd Schlesselmann channel 40 years of history into ensuring the best lineup of comedy, literary works, satire and cabaret at their floating theater. Perfectly juxtaposed between Old Hamburg and the modernistic HafenCity, the venue offers wonderful views of both sides. The cozy theater hosts up to 120 guests an evening, and the "crew" put up some of the most entertaining and engaging shows with the help of the occasional famous personality like Gert Fröbe, Michael Heltau and Monika Bleibtreu. 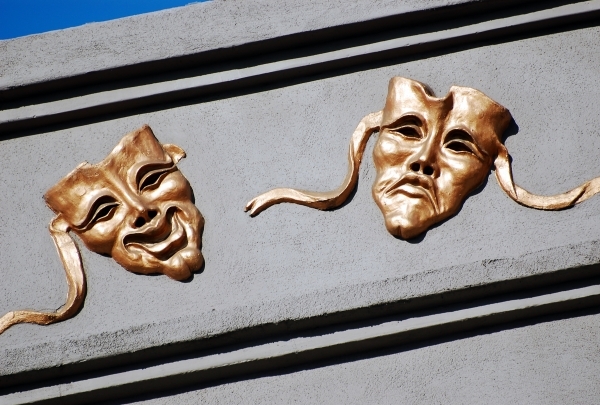 Kids will love the special plays and workshops just for them. Immerse yourself in Hamburg's rich cultural history at one of the city's most special venues. Sink your toes into the sand as you take in iconic views of the Elbe, seagulls and immense container ships at this relaxed riverside bar. This cult classic is renowned far beyond the borders of Hamburg for its laid-back vibe, great atmosphere and friendly service; it's one of the few places in the city to soak in some summer sun at the beach. Mingle with locals over a chilled beer or craft cocktail, it's the perfect spot to unwind with friends or make new ones. 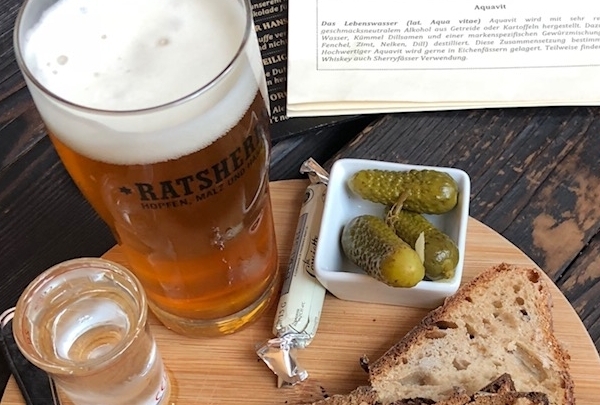 If you're hungry, pair your drinks with classic German fare like matjesbrötchen (soused herring sandwich with red onions) or the schnitzel with potato salad and cranberry for something more substantial. From sunny Sunday brunches to romantic beachfront drinks, the Strandperle does it all equally well, making it an absolute must visit. 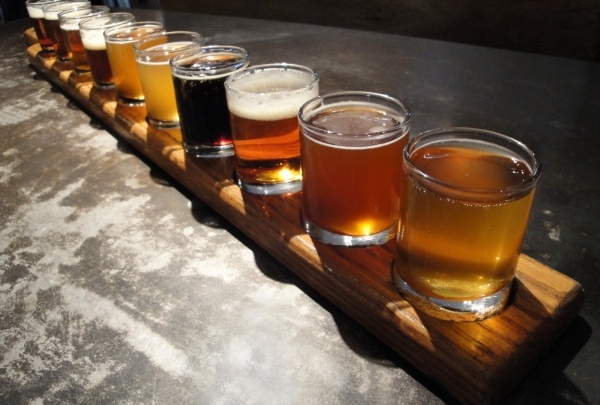 Choose from over 60 varieties of craft beer from around the globe to pair with regional small plates at this popular pub and beer garden. Beer aficionados will have a reason to rejoice when they lay eyes on the extensive selection of craft brews from around the world. Each entry on the menu comes with a detailed description so you know just what to order e.g. the Samuel Smith Taddy Porter is perfect for those who prefer deeper malt flavors, while the Crew Republic Detox is ideal for a more light, refreshing taste. 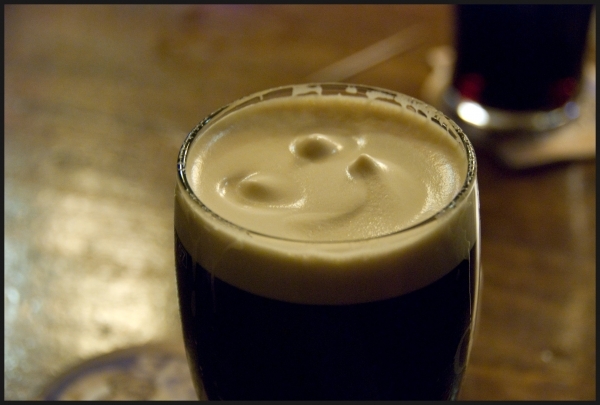 The knowledgeable servers will help you pick the perfect accompaniment to each pint. Savor eats like pulled pork wood-fired sandwich, vegan grilled vegetable salad, and malt-basted roast beef. The ambiance is casual and relaxed, making it the ideal place to unwind after a busy day. This neighborhood cafe is a favorite with locals for its fresh home-made dishes and Carroux Coffee. Try their Serrano ham and pesto rolls. This local cafe features spacious Scandinavian design - floor-to-ceiling windows, simple white furniture with bright accents, and communal-style wooden tables. The open kitchenette offers a behind-the-scenes glimpse into the culinary world, and the owner/chef, Lisa, is more than happy to chat with customers while preparing their favorite dishes. The menu is simple and fresh, drawing heavily from seasonal inspirations, served up as salads, tarts and sandwiches. 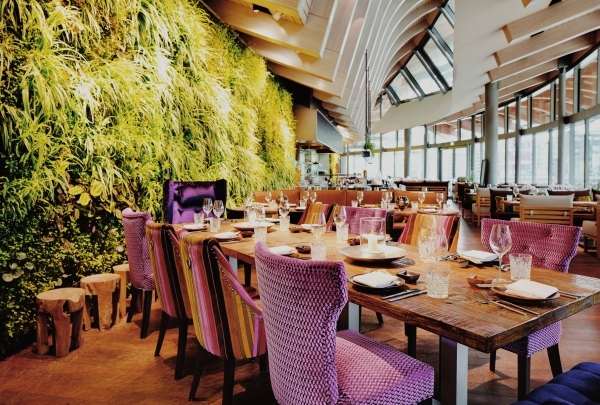 Come here for the relaxed ambiance, soothing decor and regional cuisine with a global twist. Dine on daily seafood specials at this vibrant restaurant featuring live music each evening, a five minute walk from the Elbe waterfront. Chef-owner Franco personally welcomes each guest to this cozy 30-seater restaurant. Each day the kitchen prepares a selection of the freshest seafood and meat dishes with produce straight from the market. There is no fixed menu, and each of the four courses is accompanied by perfectly-chosen side dishes and superb drinks. 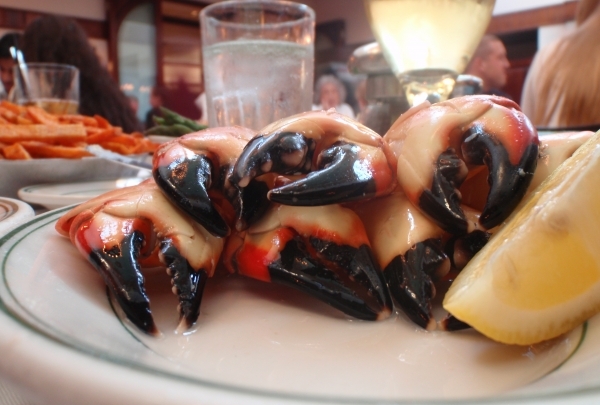 Sample seasonal specialties like fresh parrot fish, flaming scallops, roast pork shoulder or braised beef. The ambiance is warm and inviting, while the sounds of live guitar music set the tone for a delightful meal. This chic furniture shop offers nature-inspired pieces designed in-house. 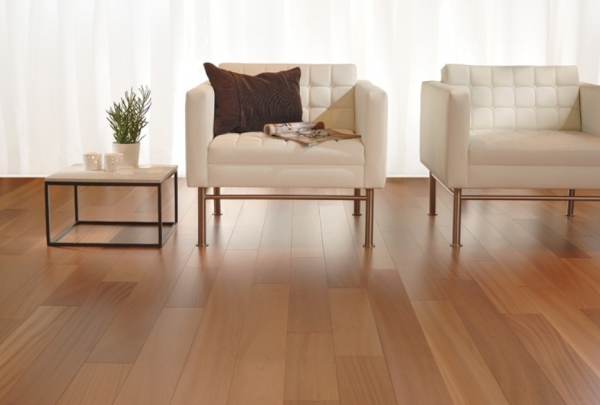 Stelling Interiors is a factory and showroom specializing in home furnishings. Their designs are modern yet rustic, with a touch of warmth. Their tables are designed with organic lines in mind, creating unique pieces. Besides furniture, you'll find fabrics, accessories, throw pillows, light fixtures, and many more surprises that are sure to transform your home. Danish design meets American steakhouse tradition at this stylish waterfront restaurant near Fischmarkt; the Wagyu Sirloin is excellent. The award-winning enterprise's first German restaurant, MASH Hamburg promises a meal to remember. Savor a variety of premium steaks, grilled to perfection, served with a portion of classic sides like onion rings, mac 'n' cheese or chili fries - all with an upscale twist, of course. From cuts like the Porterhouse and Tomahawk to rarer Danish dry-aged and Uruguayan cuts, the choice is extensive enough to thrill any steak enthusiast. Hamburg being a port city, there are also several fresh fish options like grilled turbot, gilt-head, and lobster on offer. 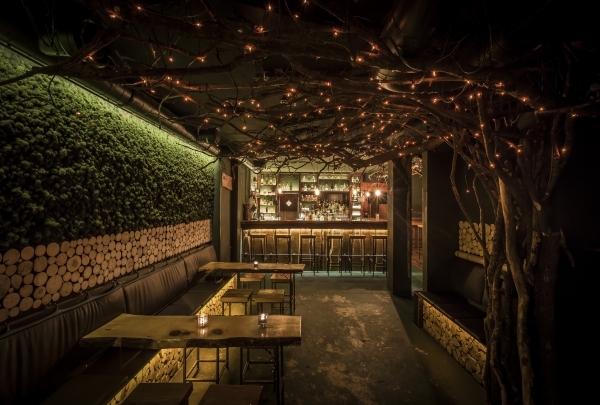 The modern-meets-traditional decor features plenty of dark wood and red leather that add to the experience; there are private booths in back for a quieter evening. Pair your mains with a selection of North American wines or craft cocktails in a trendy, yet relaxed setting. Tap your shoes to hot jazz, bebop, swing, blues and more at Hamburg's first jazz joint, the Cotton Club. The Cotton Club is Hamburg's original jazz joint, the brainchild of jazz aficionado Dieter Roloff that brings the music of the early 20th Century back in style. Open for more than 40 years, the venue still attracts hordes of regular attendees for a constantly changing calendar of jazz, bebop, blues and swing acts. If none of the touring acts passing through are particularly appealing, the club's house band keeps the party going throughout the week. Don't miss out on a Sunday jazz brunch with some great music and discounted drinks. 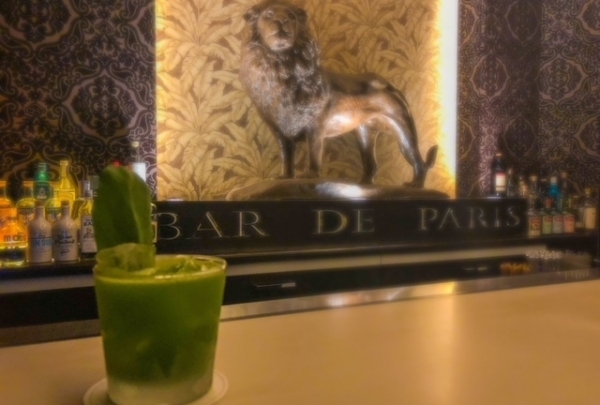 Before you enter the Le Lion – Bar de Paris you have to ring the doorbell which has the look of a Lion head. Then the door opens and a gentleman asks you for your reservation and guides you inside this dark cozy but elegant bar, you feel like entering a speakeasy, at the back a lion statue thrones over the bar. This is the place where Mr. Joerg Meyer created the GIN BASIL SMASH! Injecting a little informality into a chic section of Hamburg, Klimperkiste is a cozy pub that stands in defiance of modern watering holes. The Klimperkiste is a very cozy and original pub in the New Town. In its immediate neighborhood of sophisticated international restaurants and historic buildings it seems a bit out of place. Around Christmas, for example, plates with sweets are put everywhere for the guests to help themselves. This pub is distinguished by one of the most incredible interiors in the city. Paintings of rutting stags hang next to golden putto, while an old piano and a slot machine keep them company and mark another striking contrast. Faded lametta and crude carvings on the tables round off the scenery. The water and light show is a major draw at this lovely, centrally located park. The name 'Planten un Blomen' has its origins in the old Hamburg dialect for 'plants and flowers.' 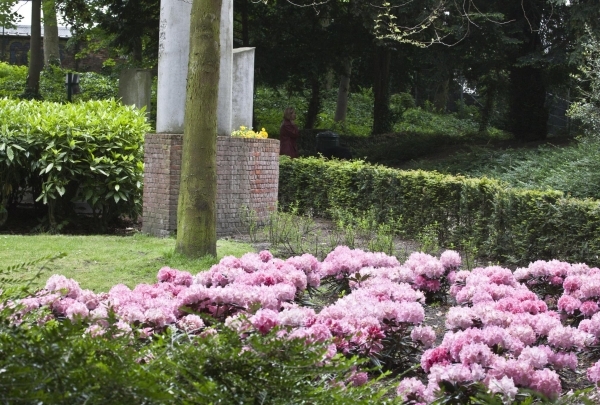 With a huge variety of trees, plants, flowers, a Japanese garden and an ice or skating rink for winters, the park attracts thousands of visitors during the warm summer months. One of the major summertime attractions is the water, music and light show. This impressive display takes place at 10p from May to August and at 9p throughout September. Water shows are performed every day in winter, but without the light show. There is also an adventure playground and numerous other activities to ensure that kids enjoy themselves amidst the scenic beauty that is Planten un Blomen. The sumptuous "Katharina die Große" breakfast, served on a three-tiered cake stand, is a weekend specialty at this elegant cafe. A short distance from the vibrant Reeperbahn, this pastry boutique entices customers to step in and sample their artistic gourmet creations. 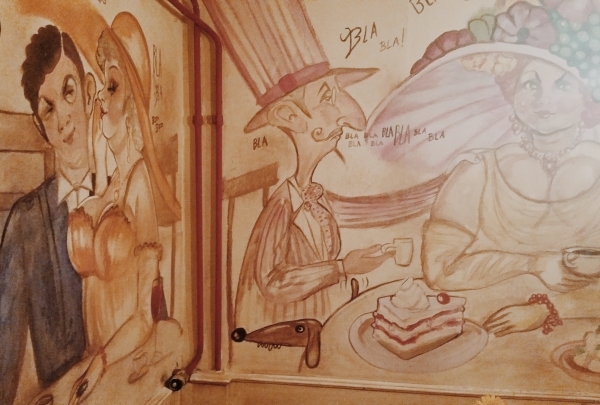 Each of the cafe's three themed rooms is beautifully decorated, from the contemporary storefront to the faux-vintage tea room. 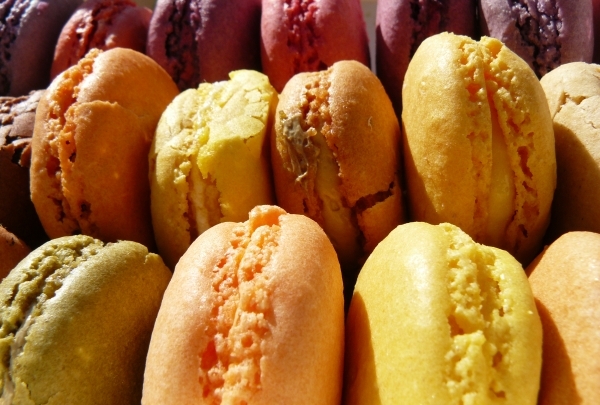 From pastel-colored macaroons to fresh pastries scented with Bourbon vanilla, all of the culinary creations here are made with the finest ingredients without artificial flavorings or preservatives. Be it the homemade specialties served at breakfast or the old-fashioned afternoon teas, this cafe is ideal for a light meal or to celebrate a special occasion. Dine at this trendy bistro on the terrace and nibble on their Parisian fare with small bites or the dry-aged burger. Atelier F brings the best of France and America to Hamburg. This shows even in the decor, which seems like a mashup of country rustic and rococo - it's quite bright and airy, so visiting during the day is the way to go. 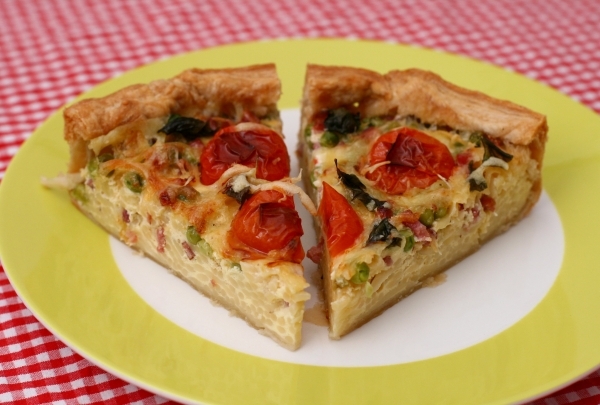 The menu features burgers, steaks, and French favorites like quiche Lorraine. Herr Max's decadent pastries are the perfect accompaniment to its top-notch coffee. Find something sweet to nibble on at Herr Max. This cafe and bakery offers a wide variety of baked treats, both sweet and savory. 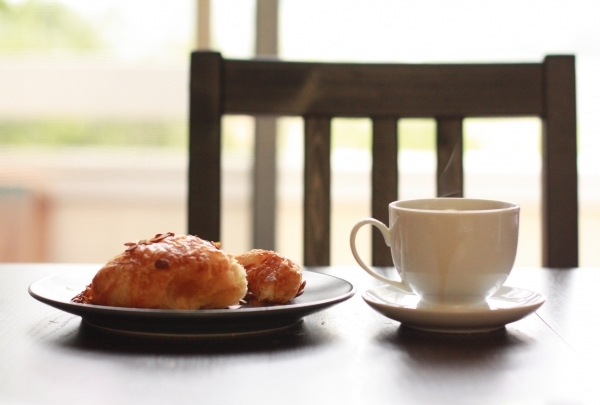 For breakfast, enjoy a croissant or a quiche with a delicious cup of coffee. Or, stop in later and treat yourself to a scrumptious piece of cake. Reminiscent of a grandmother's living room, the interior is cozy and welcoming, perfect for getting coffee with a friend. This harbor-themed store features one-of-a-kind designs from local artists that will amp up your street style with all things trendy. Boho-chic meets industrial boldness at this shop inspired by all things Hamburg. The shop specializes in hand-printed clothing, sleek souvenirs and unique home accessories, all made in Germany. Every handcrafted item has one thing in common - a true love for the Hanseatic city. Peruse their limited edition lines like the historically inspired Hammaburg, steamship-inspired Machinist and the maritime-themed Anchor print. 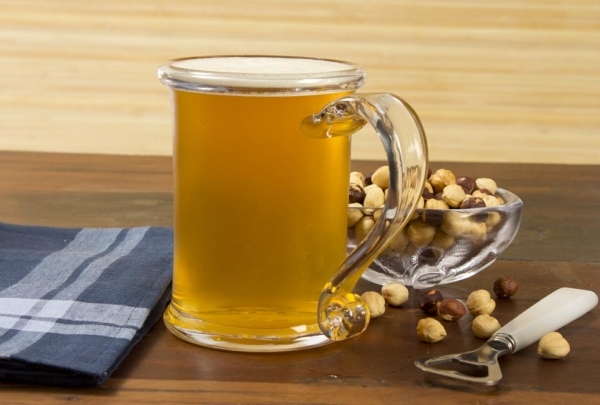 You can select handbags, cushions, mugs, note pads, key chains, hoodies and other assorted knickknacks printed with their specialized designs to carry home as gifts. Explore three floors of secondhand fashion and designer vintage pieces at thrifty shopper favorite, Secondella. Offering a treasure trove of vintage wear and secondhand fashions across three floors of shopping space, Secondella is a must-visit destination for frugal shoppers with a taste for great fashion. A whole range of vintage gear from simple basics to designers pieces to add to your collection can be found, albeit with a little digging through the massive assortment of clothing Secondella offers. 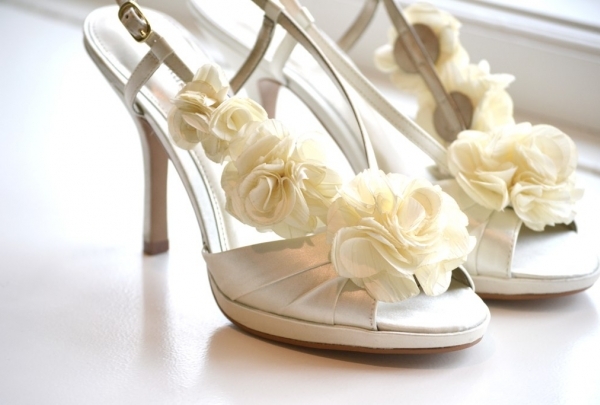 It's not just clothing, however, as shoes, watches, purses and any accessory you could dream of is ready to pair with your latest fashionable find. 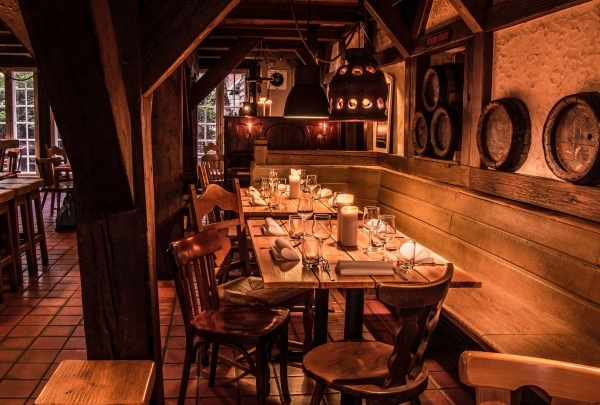 Authentic Hamburg cuisine is served in a contemporary setting. Enjoy authentic Hamburg creations like "Pannfisch" and "Labskaus" while sitting in a beautifully contemporary space. Diners get to enjoy views of the waterfront and Town Hall while they sample the unique flavors of Hamburg. 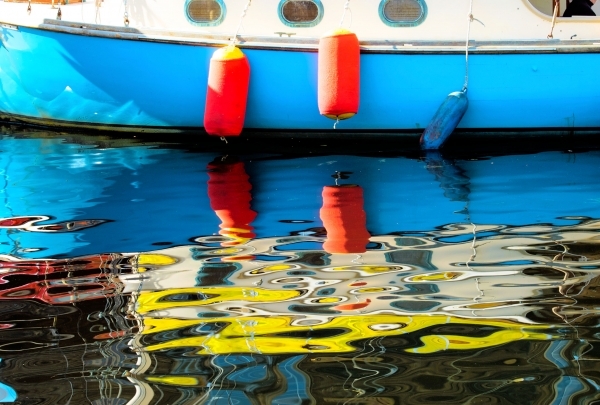 Take a ride in a bully and explore hidden gems in our Hanseatic city! 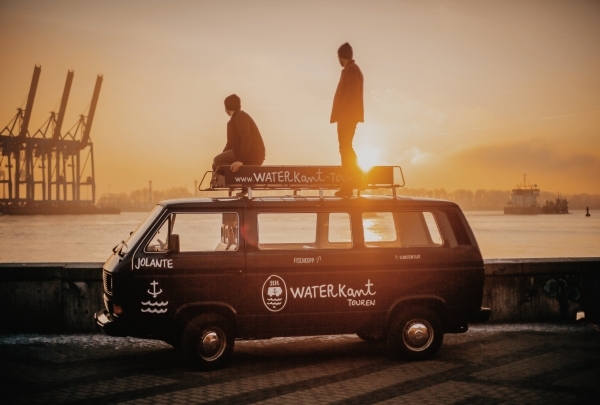 See Hamburg from a local's perspective when you explore the city with Waterkant Touren. The guides of this local outfit will show you the hidden gems of the city. Guests will also get to try some locally brewed beer and sample local dishes like "Fischbrötchen". Try the pulpo, which is grilled on the spot and covered in homemade marinade. 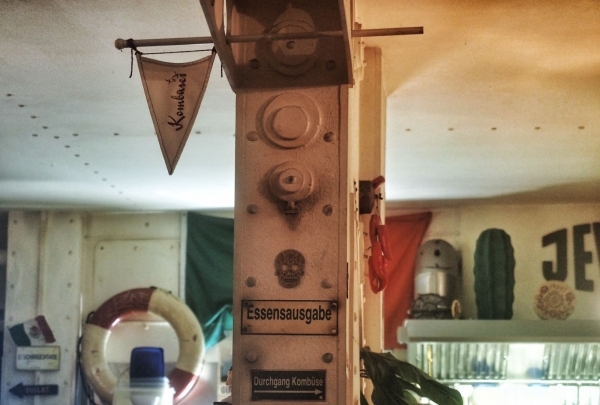 Be sure to reserve a spot at this delicious seafood restaurant during your time in Hamburg. This minimalist spot is all about fish: everything they serve is local and fresh, making this one of the best fish restaurants in the city. Enjoy views of sailboats and sunsets while enjoying a Campari cocktail. 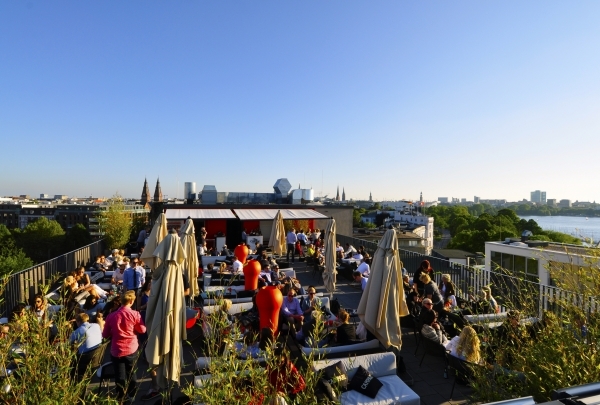 Savour the moment on one of Hamburg's nicest rooftop bars. Do not miss the antipasti plate at The George -- it is truly delicious. This bar specializes in Campari cocktails, so grab a drink and enjoy the sunset from a top this marvelous building. Rent a bicycle at this cool bike shop. Run by two bicycle enthusiasts, Zweiradperle offers fascinating tours that take visitors on an exploration of the city via bike. The bike tours highlight the coolest spots in Hamburg and are sure to be a highlight of your trip. 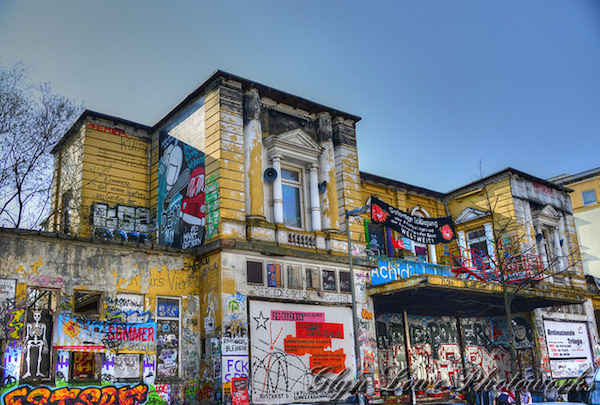 Find the spirit of this alternative district in Hamburg. In the Schanzenviertel, you will find one unique shop after another. Many artists show off their work at a variety of galleries that line the beautifully graffitied streets. After exploring the many shops in the area, stop in for a drink or dinner at the hip eateries and bars that can be found in this neighborhood. 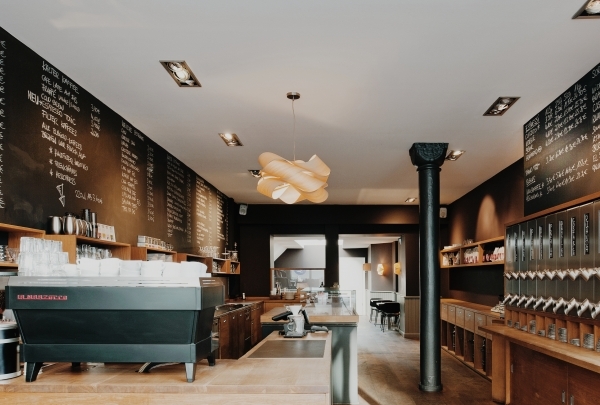 Grab a latte at Hamburg's finest coffee shop. Elbgold serves coffee grown in Costa Rica, roasted in Hamburg, and combined with milk from cows born and raised just outside the city. While ordering your drink, before to treat yourself to one of the shop's delicious cakes or pastries, which are not to be missed. Enjoy inventive sushi in a modern setting. At the White Lounge, hip design meets an urban kitchen. The sushi served up at this modern spot is truly delicious. The restaurant is known for creating a new roll every other month that is sure to outdo the last invention. 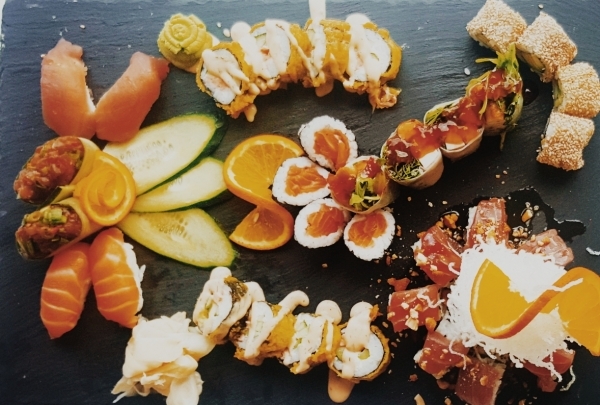 White Lounge is not afraid to be wild and creative with their sushi, so be sure to try a couple of unique rolls while at this hip spot. The place to be for all vegetable lovers. Try the vegetarian Haloumi Burger - yummy!!! The staff is more than friendly and supports you with everything you will need during your visit to Peacetanbul. Begin your meal with one of their perfect starters, like their many dips or Chinese rolls. If you are into veggie burgers, try the Haloumi burger. Genius Mexican cuisine in a real St. Pauli galley. Taco, Burrito, Enchiladas, Sour cream, Guacamole - all fresh made. Dip into the atmosphere typical for St. Pauli. When your heart beats for real Mexican food, you will fall in love with this "Kombüse". Fair prices meet big burritos. You can also order vegan dishes. All their dishes including tacos, burritos and guacamole are made fresh onsite. Savour the best sushi in town after a day touring though beautiful Hamburg. Sit next to the Elbe, look at the Elbphilharmonie, and enjoy wonderful sushi, sashimi, or European cuisine. Begin your evening with a cocktail and enjoy this hip spot adored by locals and travelers alike. Be sure to try the Lions Roast! You are sure to find something to entertain you at Clockers. Whether you decide to dance to the beats of a DJ in the bar's treehouse, or sip a perfectly crafted cocktail near the piano, you are sure to be in for a wild night. Enjoy delicious burgers in a former pharmacy. Brooklyn Burger Bar has something for everyone. Start with their fresh homemade Basil-Lemon-Lemonade and then peruse their extensive burger selection. Try one of their unique creations, like the Mamacita Burger, which is topped with manchego cheese and chimichurri paired alongside a BBQ-dip. Be sure to grab a side of sweet potato fries. Sit down and watch the sunset at this popular spot. Sven & Renè are happy to welcome you to their Alsterperle. 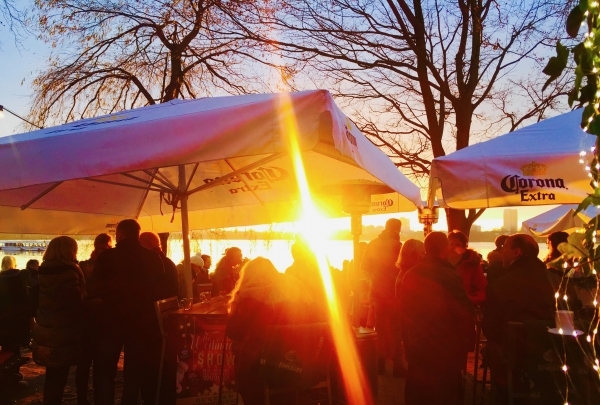 Enjoy your evening while watching the sun go down over Hamburg. 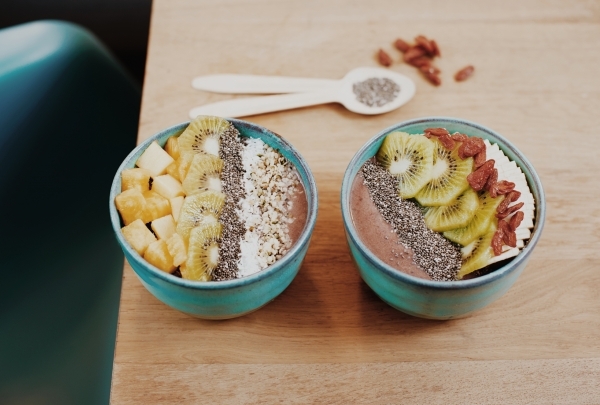 Try a delicious bowl & regional smoothies to start your healthy day. Vegan lovers are welcome. MAD about Juice is a new brand in Hamburg serving high quality, seasonal & regional food. Try a different smoothie everyday and give your body what its really needs. Anything on the menu can be ordered for take-away. 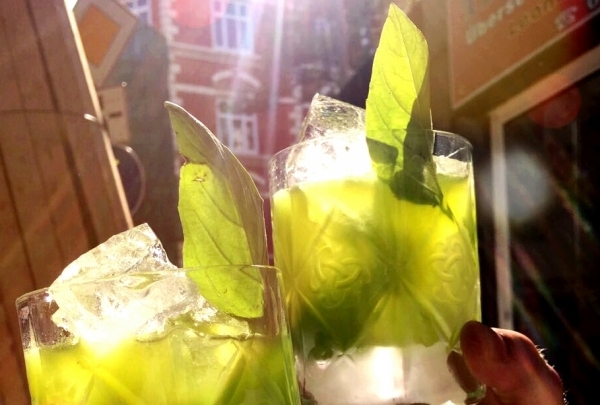 Stop by this popular spot for a delicious Gin Basil Smash. Start or finish you evening out in Hamburg at the Familieneck. Here you will find a variety of drinks but the most popular cocktail is the Gin Basil Smash. Immerse yourself in the atmospheric Ottensen district filled with nice shops, bars, and restaurants. You can still feel the spirit of the neighborhood here. It's a nice quarter full of locals who don't trap tourists. Discover Winterhude on a gondola ride. 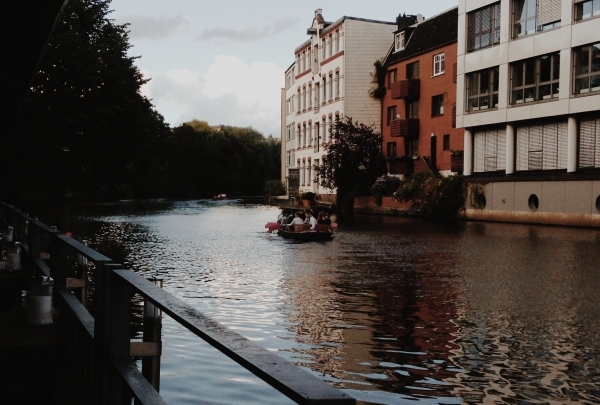 Take a ride on a gondola, canoe, team boat or pedal boat and enjoy the Winterhude district from the water. Just ring the bell at "Cafe Canale" to enjoy tea, coffee, cake & snacks. This Place is a must for all classical music enthusiasts, take a look at the lives of J. Brahms, CPE Bach or G. Mahler. The Komponisten Quartier on the Peterstrasse you can find close to six museums. These vividly illustrate the music tradition of the Hanseatic city from the baroque to the early modern age. 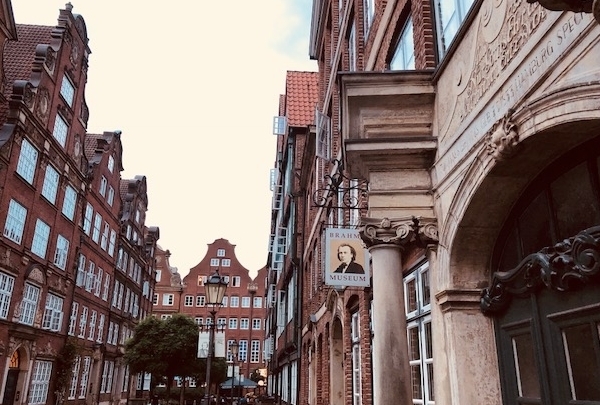 Here you can find out: How Brahms grew up, how CPE Bach influenced Hamburg´s musical life, and how Telemann shaped the music scene as music director. Meet THE LADIES! 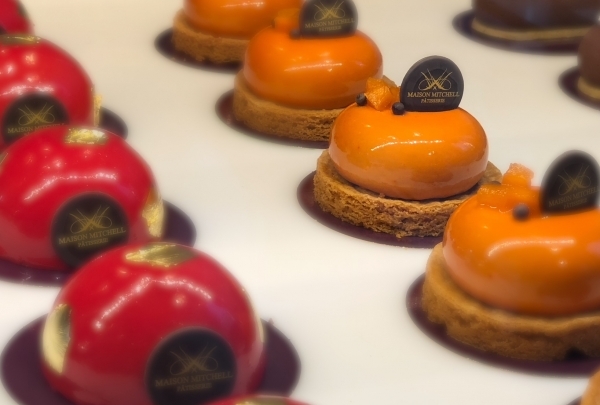 This concept pâtisserie creates edible luxury that satisfies your gourmet fantasies. Maison Mitchell shares unique gourmet pastries called “THE LADIES” that are a visual as well as gastronomical treat. Gabriel designs lovely masterpieces like “Margarita” – Brazilian Lime Crème, Tequila Ganache, Lime Caviar and Butter Sablé. And there is more Lady “BELLA” the Dog biscuits or Lady “AZTECA” scented candle with notes of dark chocolate, cinnamon and smoked chili. Create and enjoy the best salad in town! FELD´s Salat is the perfect place to enjoy the best salad in town. Why are you served the best salad here? Because you can create it by yourself! 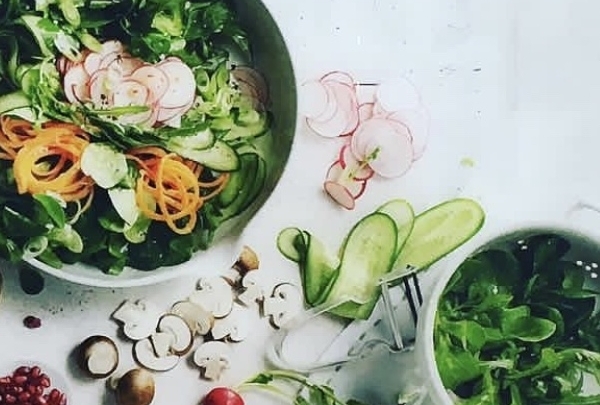 Choose from five salad leaves then add four other raw fruits or vegetables and top it with one of the six delicious dressings, and your perfect salad is ready. If you need an alternative, they serve also soups, quiche, and baked potatoes. The singer-songwriter from Hamburg touches with new interpretations of soul, pop and jazz songs as well as a range of own songs, telling the true stories of life. 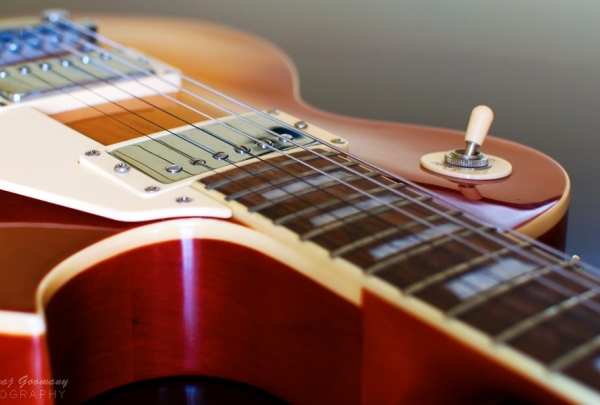 Voice and guitar sounds, that get under your skin. Enjoy free entry and the after-work happy hour between 6 and 7 PM and get our signature drinks and Gin Tonics for 8 Euro. Already in the childhood of DJ Nord Licht Tones everything revolved around Music. With his diverse beats, from the 60’s till latest hits, he brings everyone on the dance floor and guarantees an entertaining evening.